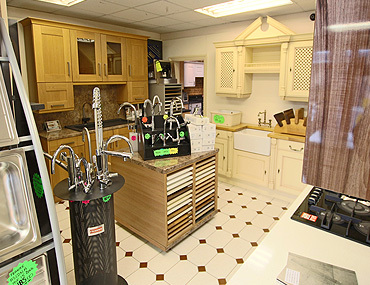 As well as many items from distributor’s own brands. 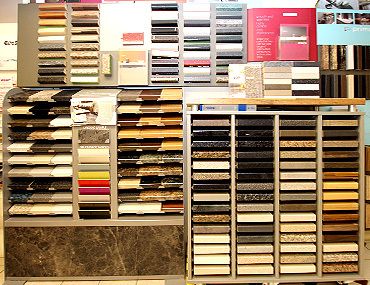 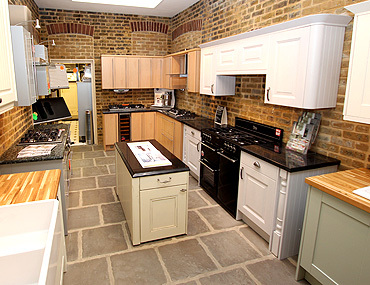 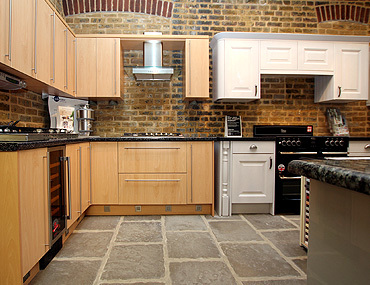 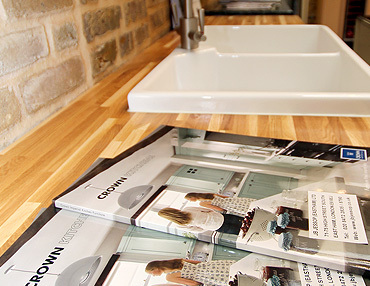 With over 200 worktop samples to choose from, plus solid wood and granite available. 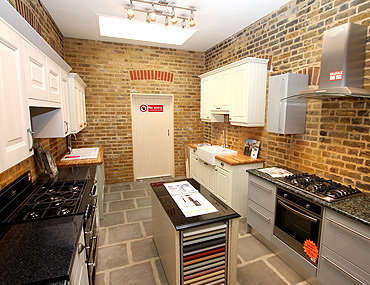 Over 150 doors to choose from. 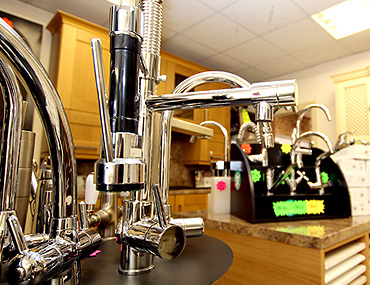 A large selection of taps on display. 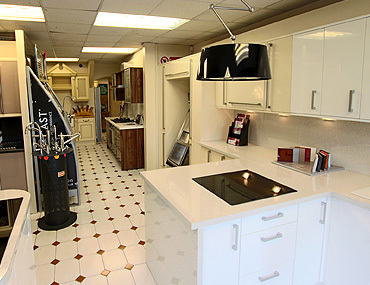 Most kitchens available within 1-2 weeks. 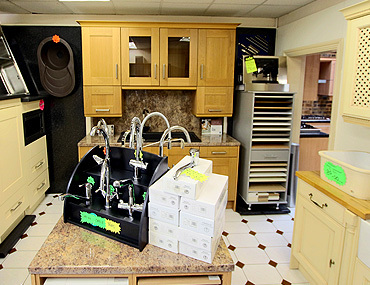 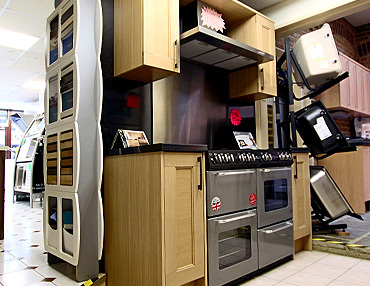 Most appliances available the next day.